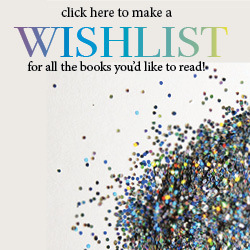 Book of the Month, Memberships, and more! It's hard to pick favorites, but we did it anyway. This is a beautifully written adventure novel. It's a story about love, jealousy, and isolation wrapped up in a fantasy story full of monsters and magic. 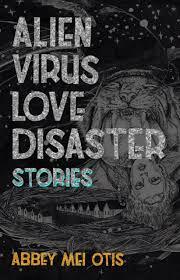 I won't lie, writing my Best Of 2018 review about Alien Virus Love Disaster feels a little like a cop-out, because everyone has already had to endure me going on about this book since it came out this summer. But that's the thing—it's just so bizarre and transporting and delicious that once you read it you'll pester all your friends into reading it because you've got to have someone to spill your guts with over these stories. This collection is speculative fiction at its best: the elements that make the stories fantastical also make them seem more reflective of the real world than our own muddied reality. Where typical sci-fi follows the star captain into space, Otis turns her lens on the fry cook flipping his burgers, the underbelly of future/alternate society in all its gritty glory. An alien exposure story somehow ends up more about income inequality than extra terrestrials. If you ask the elite moon colony's malformed rejects the meaning of life, what will they tell you? This is all a long way of saying that this is a must-read of 2018, with the added bonus of supporting a small press and being able to smugly say "Oh yeah, I've been following her for years," when Abbey Mei Otis inevitably blows up in the literary world. The best book I read in 2018 won't be published until 2019. 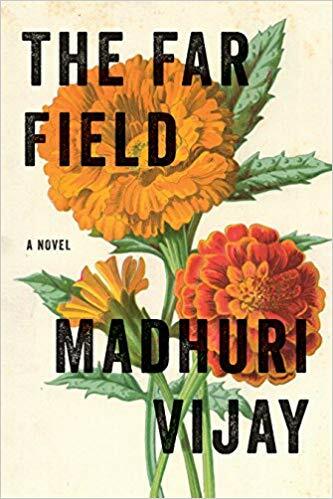 On January 15, 2019, Madhuri Vijay's first novel, The Far Field, will land in bookstores and I will begin my daily proselytizing: read this book and your life will suddenly (okay, not so suddenly--it is a 448 page novel) expand. Vijay provides that alchemical mix of political examination with personal journey that deepens many great novels. The Far Field plays out along the India/Kashmir border and follows a young woman's awakening into the dark realities of her family and her country. As an added bonus, her mother is one of the most memorable characters in contemporary literature. At times brutal, but always tuned to the desperately sweet longing for human connection, Vijay has created a necessary and lovely work that transcends 2018! Other Favorites (of books that actually published in 2018): The Feral Detective, by Jonathan Lethem, How to Change Your Mind, by Michael Pollan, Dopesick, by Beth Macy, The Lumberjack's Dove, by Gennarose Nethercott. 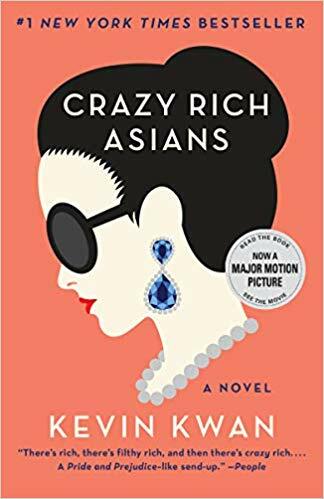 Yeah, I know that this book didn't technically come out this year but the movie did, which prompted me to binge-read the whole trilogy in a matter of weeks. While I haven't finished the final book yet, the series is already one of my favorites of all time. Not only do I see myself represented in the pages, it touches on poignant perspectives about family, love, class and generational differences in a way that anyone can relate to, all with wicked humor. They're hilariously outrageous yet deeply relatable, but mostly outrageous. For me, 2018 has been the year of the Family Saga--in depth portraits of each character both as an individual and in relation to the rest of the family. 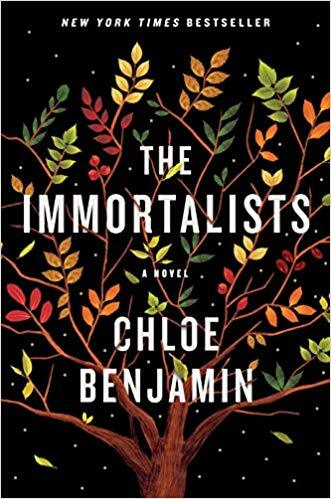 The Immortalists certainly fits this mold but takes a step further by examining what each character does with the knowledge of the date of his or her death. How much of life is arbitrary, and how much is preordained? Would you live your life differently with the knowledge of its end? Limitless in the moral questions this book draws, it begs us to ponder whether we make our beliefs or if our beliefs make us. Poetic prose or prosaic poetry, I'm not sure, but what I am certain of is that Ellen Hopkins accosts an impossible and controversial topic and handles it with grace and poise. Extremely relevant, important, and necessary for readers today, People Kill People comes at the issue of gun violence with a variety of voices that unflinchingly conveys the ugly, violent, and often ambiguous nature of the truth. This is first minimalist book I've read to reference Lagom--the number of things or commitments that are "just right" for you. New Minimalism answers the whys before supplying the shoulds, provides sensible examples for how to apply the shoulds, and addresses minimalism on a very individual basis. I‘ve always hated having to choose a single favorite of anything. Give me ten minutes and I’ll change my mind. So, here’s just one favorite and list of others. 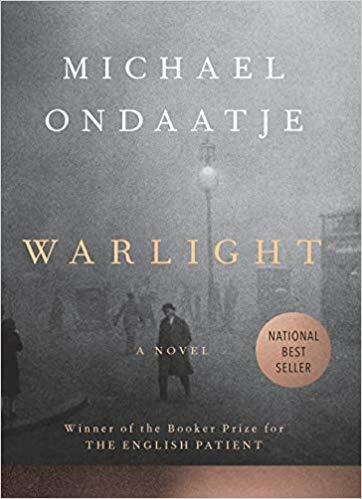 Warlight is not a memoir but it is written as one. A young boy is left in the charge of apparent ne’er-do-wells in Post-War London and his memories cloudy, affectionate, filled with mystery and ecstasy. This opacity gives way to a bracing clarity as events transpire. Beautiful, sensuous, joyous writing matched with the intricate interplay of the memory and the unknowable. 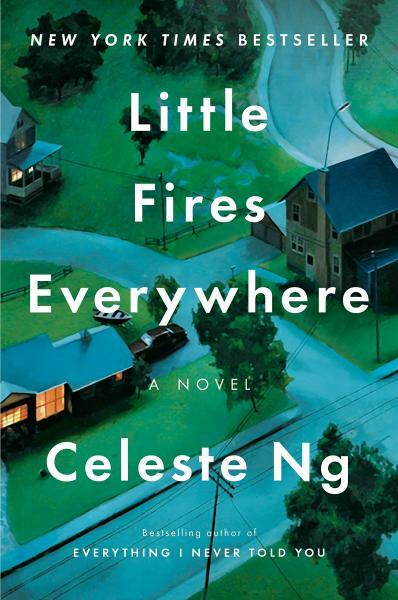 I was sort of entranced by this book, and the way its narrator viewed the world, the whole way through. Now in middle age, Alison weaves between her relatively gritty present and her past, back in the 80s when she had the glamorous life of a model as well as a friend named Veronica. When she was young she lusted after grandiosity and ecstasy--"to live like music" and she had an unlikely friendship with Veronica--unlikely because Veronica was an eccentric proofreader sixteen years Alison's senior who was, to her, a "ridiculous woman with bad hair," but whom she cared about. 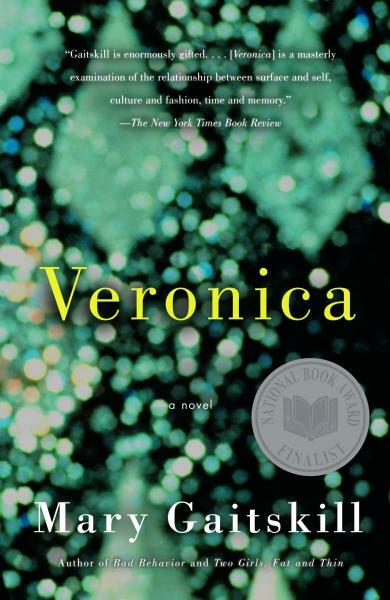 The book's heart is about that complicated relationship, especially in the context of Veronica's slow, tragic struggle with AIDS, and it's about the--albeit marred and long-buried--goodness both women are capable of. Gaitskill doesn't shy away from shedding as much gritty exposure as glittery light on the dark corridors of their story, so it becomes one where ugliness and beauty sort of swirl together in layers of time, place, fairy tale and image, creating in the prose its own music that courses with feeling, distorts love, and where, way down under, characters ache deeply under their brittle outsides. 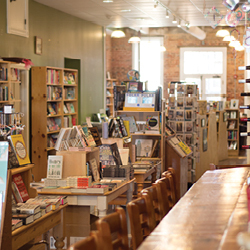 Other favorites: Fates and Furies by Lauren Groff, We Crossed a Bridge and It Trembled: Voices from Syria by Wendy Pearlman, Her Body and Other Parties by Carmen Maria Machado, the 2/10ths of Infinite Jest I got through before accepting myself for who I am, The Bear by Raymond Briggs. This book takes you on the journey of a mother and daughter as they figure out their roles in each other’s lives as well as the lives of others. People at all ages and from all demographics will relate to at least one of the characters of this book, as they are as diverse and colorful as they are frustrating and heart wrenching. I don’t know how better to describe this book as the book that made me enjoy reading fiction novels again. 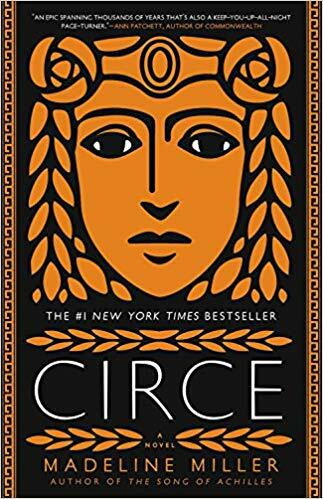 It was the first book I read for pleasure the summer after I graduated college, and I was shocked at how easily I was engrossed in the fast paced and eclectic storyline. It’s a book that you’re told to read time and time again, but I’m here to say that you won’t regret reading it. It’s the perfect example of a book that allows you to escape your reality and flex your mystery-solving muscles.